Muddy Waters is simply a legend. It somehow seems appropriate to listen to his deep growl roaring off of a spinning vinyl record. Old blues records are a little hard to come by and especially in good condition so I scooped this one up at The Lucky Tiger in St. Joseph. His 1977 album Hard Again was a bit of a resurgence for him, after putting together the status of a legend for his work in the 1960s he fell into a lull during the 70s of not as well received records. That was until Hard Again of course, which turns out to be possibly the best record of his entire career. The sheer blues power of the opening song “Mannish Boy” sells you inside the first minute. The record isn’t shaking any foundations, it is the blues after all, but what is remarkable is how well it is done. With Waters being one of the most powerful voices in music history it is great to hear him really belt some songs out and have fun doing it. In a year when punk rock was changing everything and scaring all the stepford wives Muddy Water proved that some things will never change. He stuck to his guns and simply made a great blues record. 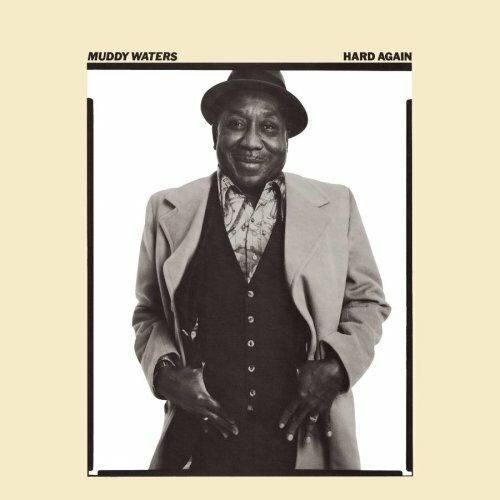 This entry was posted in The Vinyl Court and tagged blues, Chicago Blues, Hard Again, LP, Muddy Waters, record, review, The Vinyl Court, Vinyl court. Bookmark the permalink.